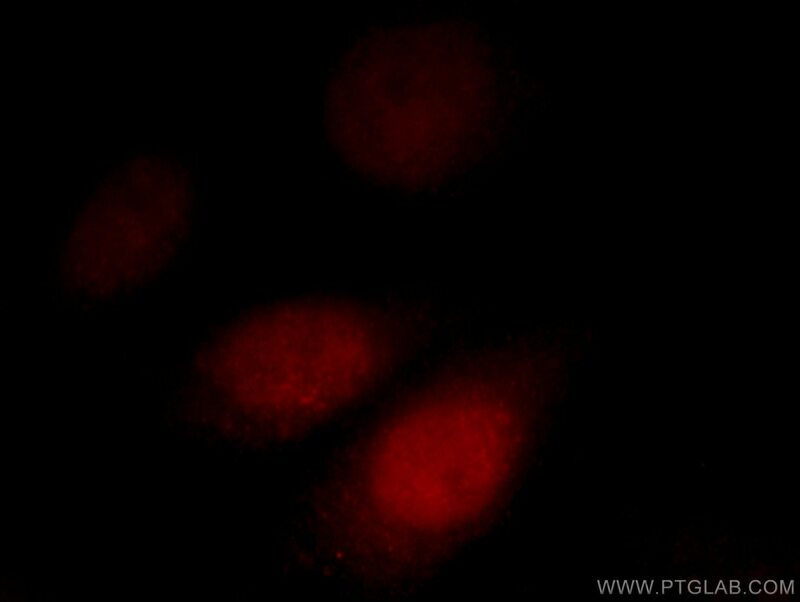 Immunofluorescent analysis of HepG2 cells, using AKAP7 antibody 12591-1-AP at 1:25 dilution and Rhodamine-labeled goat anti-rabbit IgG (red). 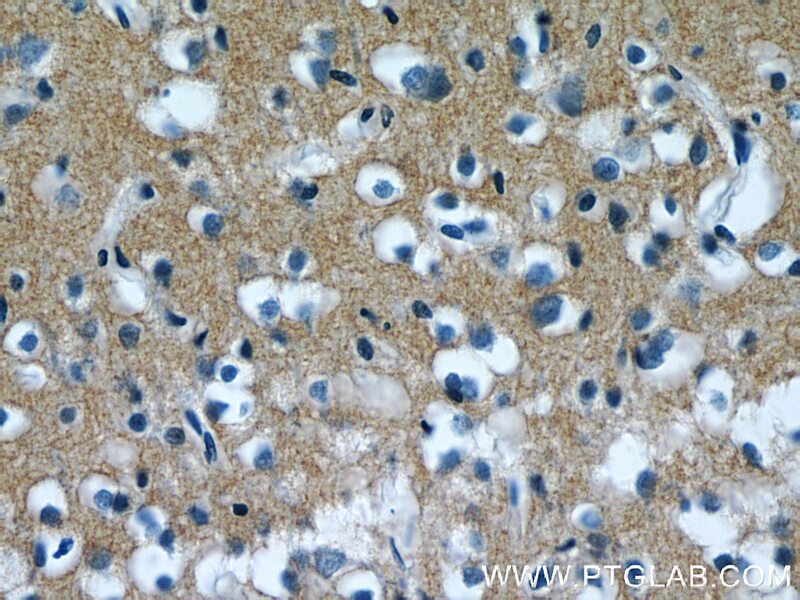 IP Result of anti-AKAP7 (IP:12591-1-AP, 4ug; Detection:12591-1-AP 1:300) with mouse brain tissue lysate 4000ug. AKAP7, also named as AKAP15 and AKAP18, localize PKA in complexes with CaV1.2 and PLN, respectively. 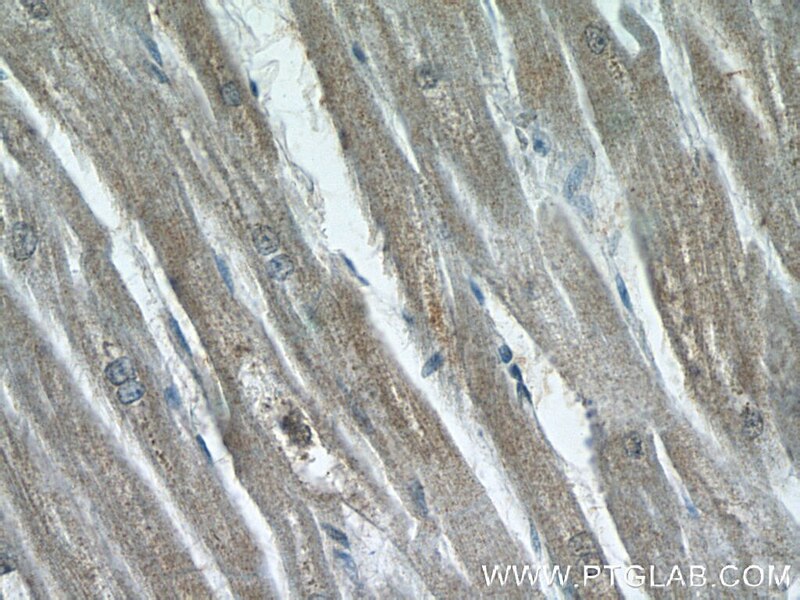 AKAP7 targets the cAMP-dependent protein kinase (PKA) to the plasma membrane, and permits functional coupling to the L-type calcium channel. AKAP7 has short isoform AKAP7 alpha and AKAP7 beta with MW 15-18 kDa; long isoform AKAP7 gamma with MW 37-42 kDa. 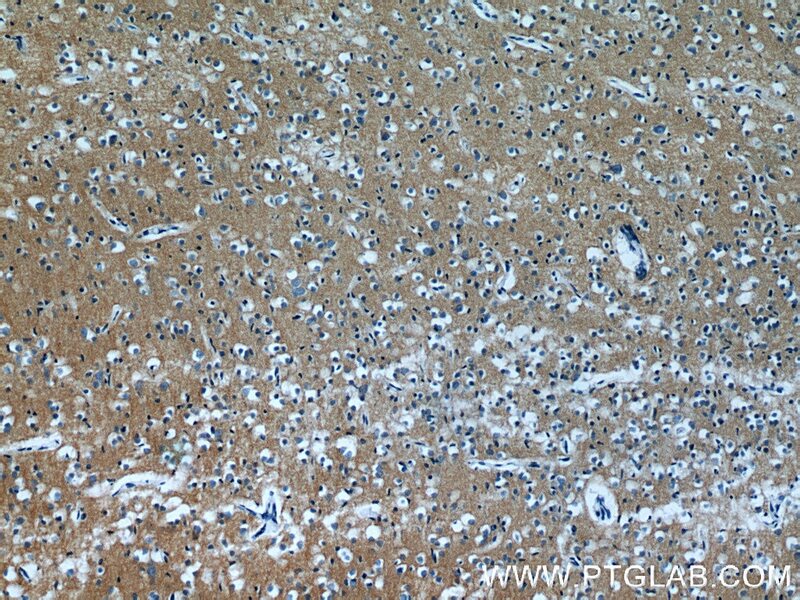 AKAP7alpha was highly expressed only in brain and weakly in lung lysates from WT animals. 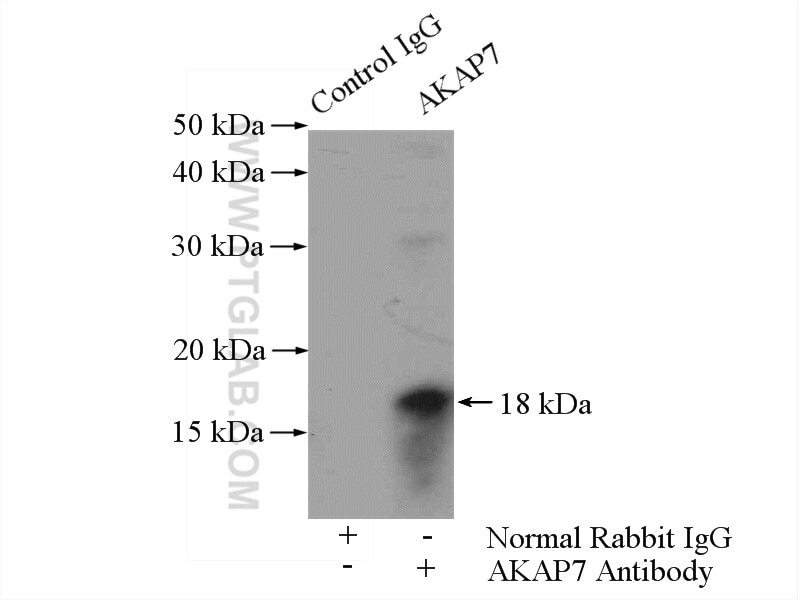 This antibody can recognize all the isoforms of AKAP7. 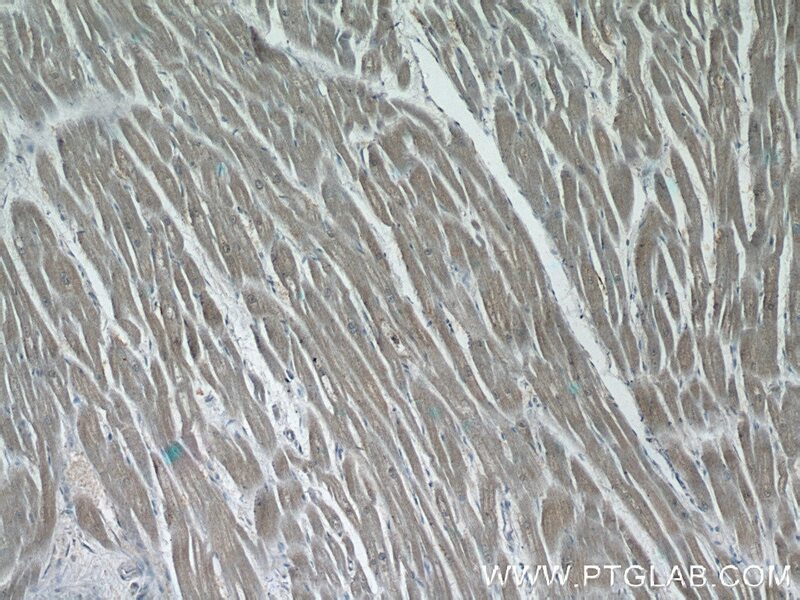 Cardiomyocytes from AKAP7 knockout mice respond normally to adrenergic stimulation. Targeted deletion of AKAP7 in dentate granule cells impairs spatial discrimination. Murine AKAP7 Has a 2',5'-Phosphodiesterase Domain That Can Complement an Inactive Murine Coronavirus ns2 Gene.